With the midterms now behind us, lawmakers should focus on eliminating one of the biggest barriers to creating jobs in Nevada: occupational licensing. Once limited to fields such as medicine and dentistry, licensing laws have spread dramatically in recent years. Today, more than 300,000 Nevada workers need a license to work. That’s more than 26 percent of the state’s workforce — the highest percentage in the nation. By comparison, during the 1950s, just 5 percent of American workers were licensed. In Nevada, the average occupational license for a lower-income occupation requires $704 in fees, more than two years of education and experience and two exams. These barriers to entry for aspiring workers restrict competition in licensed occupations, limiting economic opportunity and driving up costs for consumers. Now a new Institute for Justice report by Morris Kleiner, professor at the University of Minnesota’s Humphrey School of Public Affairs, and economist Evgeny Vorotnikov shows the enormous costs licensing imposes on Nevada’s economy. In Nevada, licensing results in almost 35,000 fewer jobs. With licensing laws limiting the pool of people who can work in a licensed occupation, those with a license can charge more for their services than they could in a more competitive market. As a result, licensing costs the state’s economy nearly $196 million in “deadweight loss,” or reduced output, each year. But even that figure doesn’t capture all of the economic costs of licensing. For instance, it doesn’t include the time and money people waste completing excessive licensing requirements. Nor does it account for the lost potential of people who want to work in a given field but are blocked by licensing. To better account for these costs, Kleiner and Vorotnikov also include “misallocated resources” as a broader measure of the value lost from the economy because of licensing. 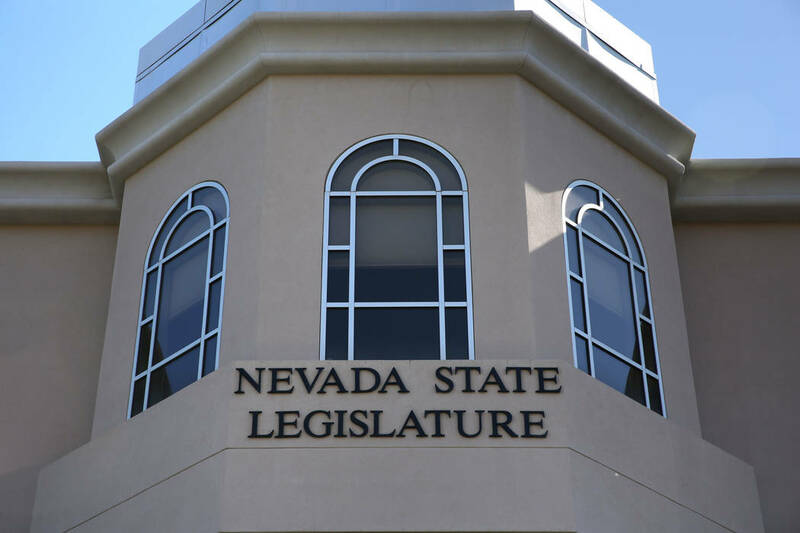 For Nevada, licensing costs the economy more than $3.6 billion in misallocated resources. Nationwide, occupational licensing laws destroy nearly 2 million jobs and cost the economy upward of $184 billion. Many licensing burdens are often wildly disproportionate to the actual health and safety risks associated with an occupation. For instance, in Nevada, it takes 1,600 hours of classes to become licensed to cut and style hair as a cosmetologist. In contrast, it takes only 110 hours of training to become licensed to provide lifesaving aid as an emergency medical technician. Rather than protect the public from harm, many licenses only protect the licensed from competition. Fortunately, Nevada has an opportunity to be a leader in licensing reform. Last year, it was selected for an 11-state learning consortium funded by the U.S. Department of Labor and in partnership with the National Conference of State Legislatures, the Council of State Governments and the National Governors Association Center for Best Practices. The consortium is devoted to developing and implementing effective reform strategies to reduce and remove barriers to labor market entry. The Silver State has already made some progress. For example, in 2015, the Legislature exempted makeup artist instructors from the state’s cosmetology laws. Before the change, makeup artists were free to practice without a license, but teaching someone to apply makeup required a cosmetology instructor’s license, which takes at least 700 hours of training. But after the Institute for Justice sued the state on behalf of two makeup artistry school owners, Nevada eliminated the licensing requirement for instructors. Now makeup artist instructors need only register with the cosmetology board and pay a $25 fee. To slash through Nevada’s thicket of licensing red tape, policymakers should rigorously review licensing laws on the books, as Nebraska recently pledged to do, as well as proposed licensing regimes, as Colorado has done for years. In both cases, the key is to study whether licensing actually protects the public from real, substantial harm — and whether less restrictive, more targeted regulations, such as inspections or voluntary certification, can address consumer protection concerns without the job losses and steep costs from licensing. Given the high costs and scant public benefits of licensing, policymakers can and should repeal needless licenses, replacing them, if necessary, with less restrictive regulations. When Nevadans can earn a living instead of a license, they can create more jobs, expand economic opportunity and inject billions of dollars into the state’s economy. Nick Sibilla is a legislative analyst at the Institute for Justice.